Niagara-raised performer Joseph Recinos guides through the complex terrain of being from two places at once. 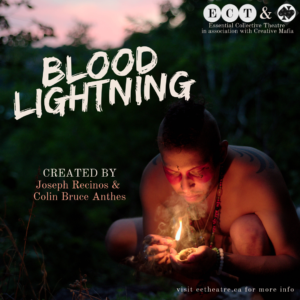 Through the use of traditional storytelling, hip-hop, movement, song and poetry, and traveling from Niagara to Guatemala to Standing Rock, this one-person show chronicles the true story of one artist’s reclaiming of their ancestral voice. 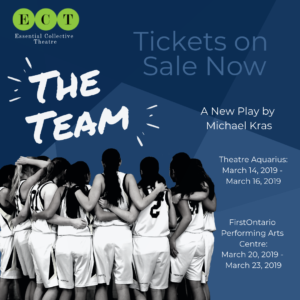 Essential Collective Theatre presents the world premiere of The Team penned by Hamilton playwright Michael Kras, winner of the prestigious Herman Voaden National Playwriting Prize and nominated for the 2018 Tom Hendry TYA Award. Ushering in a cast of five young women, The Team is a rapid-fire, heart-squeezing, fiercely funny portrait of five teenagers facing the crushing weights of expectation, grief, fear, and identity as they stand on the precipice of their uncertain futures.